There is nothing that offers a more cost effective home improvement than new roofline. We supply and install a range of bargeboards, fascias and cladding to properties across Fleet, Hampshire, Farnham, Camberley, Aldershot, Basingstoke, Surrey, Hook, Farnborough, Bagshot, parts of Berkshire, Lightwater, Cove, Frimley. Yateley and surrounding areas. Why not spruce up your home quickly and effectively with new roofline from Cristal Windows! For more information or to get a free quote, contact us! For the most eye catching home improvement, updating your roofline is cost effective and efficient. Your home in Fleet and Hampshire can be refreshed with this simple yet appealing enhancement. We can replace your facias, soffits, guttering, cladding, and drainpipes with high quality Eurocell uPVC roofline. The products we use offer outstanding long term performance with minimal maintenance due to the exceptional materials used in their construction. The underlying benefits of roofline are enormous, as they will protect your home from the elements and water ingress, and due to their construction from quality uPVC, they will never warp, rot or fade. We supply and fit a vast range of uPVC fascia boards and replacement fascias. Our fascias can come in 16mm, 20mm and 25mm with either a square lower edge or a rounded lower edge, as well as in a selection of colour options. 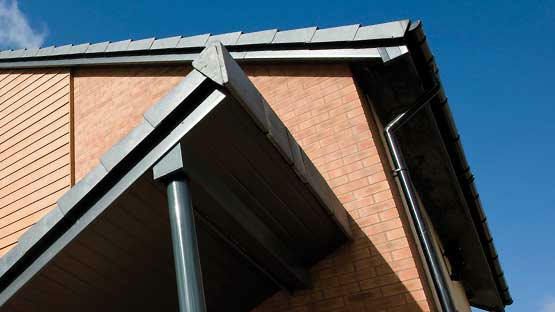 Our uPVC soffits come in a variety of styles to suit any property and taste. We offer a range of plain, vented and hollow soffits available in a vast array of colours, so you can be sure to find the right soffit for your home. We supply and install a complete range of rainwater guttering systems that will provide incredible performance year after year. 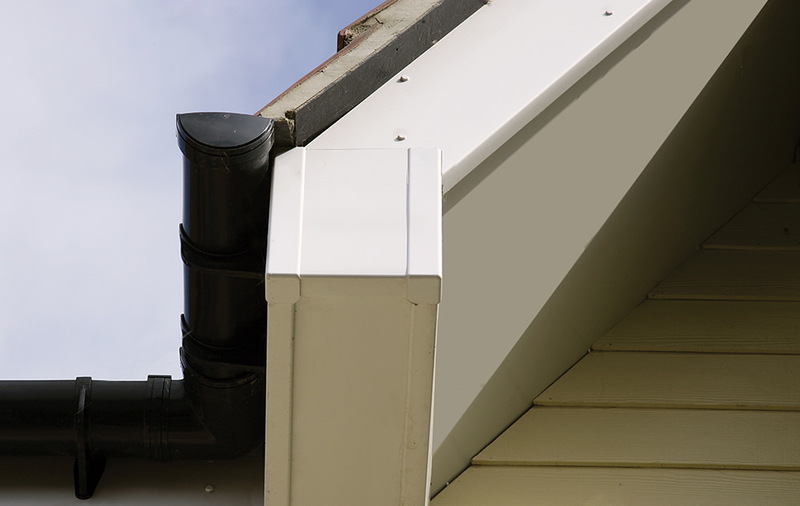 Our uPVC guttering systems come in a variety of profile designs, both traditional and modern. Our uPVC cladding is available in two styles, shiplap and open-V. Unlike cladding over, replacement cladding ensures that any rotten or damaged cladding is removed, giving you a longer lasting performance. Removing the rotten cladding will protect your home from damage, which makes it cost effective in the long term. This method of cladding gives your Fleet home a quick makeover. It uses a thinner gauge uPVC product that is tacked on over the top of the existing fascia and soffit boards, new guttering is then fitted (sometimes old gutters are refitted). The method is somewhat cheaper in the short term both on labour and materials. You may find that in the long term, you require a full roofline replacement as fascias may continue to rot behind the clad over fix. Health and safety is a paramount issue in modern home improvements, and so the traditional sight of tradespeople clinging to the top of a wobbly ladder is long gone. When we install your roofline in Fleet and Hampshire, we want to make the experience as safe as possible, while still being cost effective, and so, instead of employing expensive scaffolders, we use the Easi Dec System. The Easi Dec Portable Access System, which is superfast to construct and move, meets health and safety legislation. It can also be dismantled during the progression of the installation. One of the greatest benefits of the Easi Dec system is that your brickwork will not be damaged by scaffolding or ladders as the system simply rolls up the walls. This wonderful alternative to traditional scaffolding is suitable for any home, even those on hillslopes, as it is completely adaptable. Due to our Easi Dec system, we offer exceptionally efficient installations which means that our roofline prices are superb. If you would like to have new uPVC roofline installed in your Fleet, Hampshire, Farnham, Camberley, Aldershot, Basingstoke, Hook, Farnborough, Bagshot, Lightwater, Cove, Frimley and Yateley, contact us for a free quote.